Molly is a Director in the Dallas office, where she practices real estate, general business and probate law. 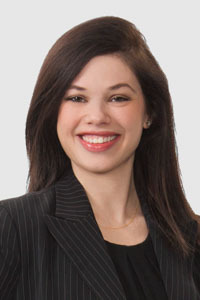 Her practice involves representing clients in the acquisition, development, financing and disposition of real property, as well as, representation of landlords and tenants in various types of lease negotiations. In business law, Molly represents clients with respect to their entity formations and governance documentation, acquisitions, dispositions, and other contract negotiations. In addition to real estate and corporate law, Molly represents individuals in routine probate administration and guardianship cases.